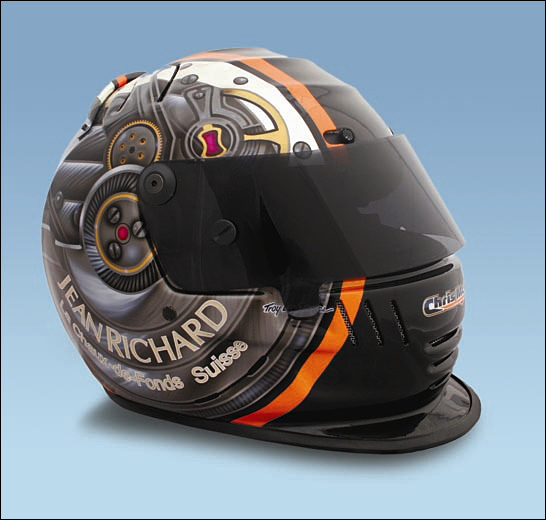 Chris McMurry commissions a new helmet design every season – “it’s my calling card” – last year’s having an Arizona theme (his home state), 2004 was the ‘Speed Racer’ and 2003 was a sponsor-oriented helmet for Fairytale Brownies. The 2006 theme is that of the movement of a JeanRichard Swiss watch, designed by Troy Lee Designs. 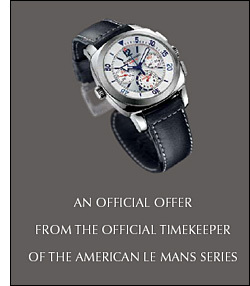 As avid dsc readers will know, the ‘associated promotion’ is called “Watch, See, Win,” and anyone who buys a JEANRICHARD timepiece during the promotional period in the U.S., at an authorized retailer, receives two free tickets to a 2006 American Le Mans Series race plus a one-year subscription to bi-monthly magazine Auto Aficionado. All purchasers will then be entered into a grand prize drawing that will occur just after the last ALMS race this season. 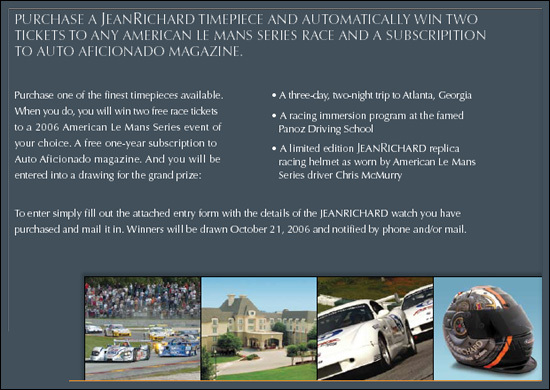 The grand prize winners will receive a three-day, two night (accommodations at Chateau Elan Winery & Resort) trip for two to Atlanta for a one-day racing experience at the Panoz Racing School, and a replica of Chris McMurry’s helmet. 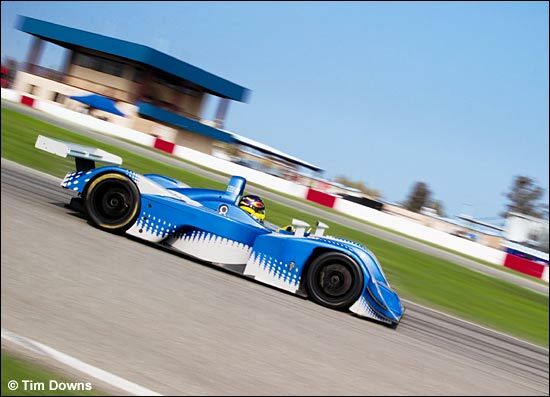 So look out for an Autocon Lola driven by a JeanRichard watch – at ALMS events this season.